Do you know a coach in your community you think would be an ideal candidate to be MomsTeam's climbing expert? Send his or her name to info@momsteam.com. The first time you put your feet inside of climbing shoes, you may experience an uncomfortable feeling and be tempted to jump to the conclusion that climbing is not for you. This is because climbing shoes are designed to fit tightly and often curl your foot into a more powerful "toe down" position. Sticky rubber around the heels, soles and toe-box provide excellent edging and gripping capabilities, but a beginner's feet may feel very uncomfortable in climbing shoes. Eventually you will become accustomed to the tightness, and after time the musculature of your feet will adapt. Trying on many different pairs of climbing shoes is strongly recommended before deciding which pair to buy. Top notch bouldering or sport climbing shoes can be very expensive and are often more down-turned than less expensive models, providing better micro-edging capabilities and technical advantages. Beginners or people just getting interested in climbing should buy less expensive pairs first because poor footwork wears out shoes quickly. As footwork and abilities advance, better shoes are a must. Climbing helmets are often brightly colored hard shells made of plastic, fiberglass or carbon, and are secured with chin straps. Although climbing helmets are often unpopular and overlooked pieces of safety equipment in the sport, they are just as important as in bicycling, football or lacrosse. Unforeseen problems, such as rockfall or upside down falls can be lethal and the potential for injury can be dramatically reduced when the climber and belayer are both wearing helmets. Of utmost importance is a helmet for the belayer. Belayers are almost always situated below the climber, and dislodged rocks can knock a belayer unconscious, leaving the climber to fend for him/herself with no way of lowering to the ground safely. A sport practiced on natural rock faces or inside gyms in which participants attempt to ascend walls safely and efficiently. A recent study published in the British Journal of Sports Medicine establishes what rock climbing enthusiasts have long known: injuries - especially to fingers, elbows and shoulders - are common, especially among frequent, advanced climbers. Have Rock Climbing Parties Become the In Thing For Kids? 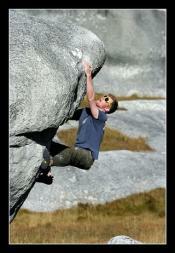 With the incredible increase in rock climbing's popularity, rock climbing parties are now all the rage.